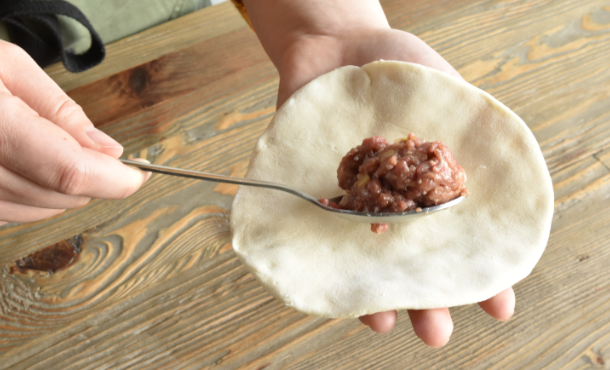 While traveling in and out of Taipei for research, I tried home-made Taiwanese pot-sticker (Xianbing) dumplings. 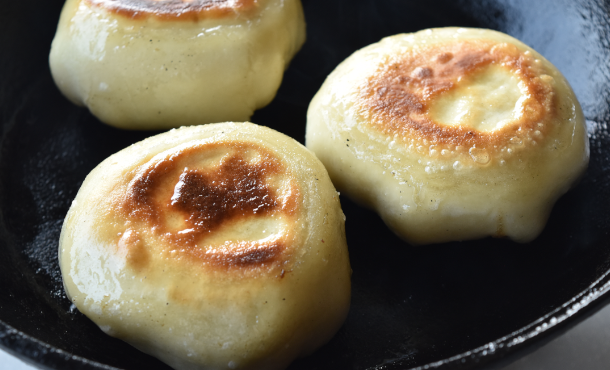 The dumplings were made by Yeh Ping, a professor of Japanese language at National Chengchi University in Taipei. 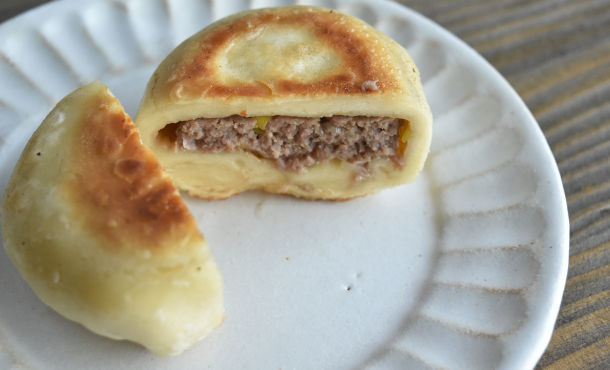 They were so good I asked for the recipe and put it to the test as soon as I got back in Japan. 1.Mix all [A] ingredients together. 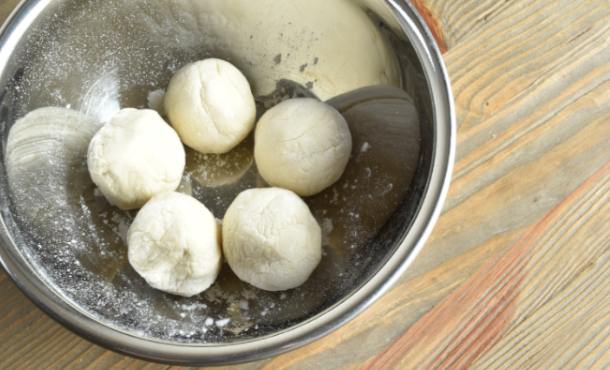 2.Add a pinch of salt to the flour then start to mix, adding a little warm water at a time to make dough [B]. 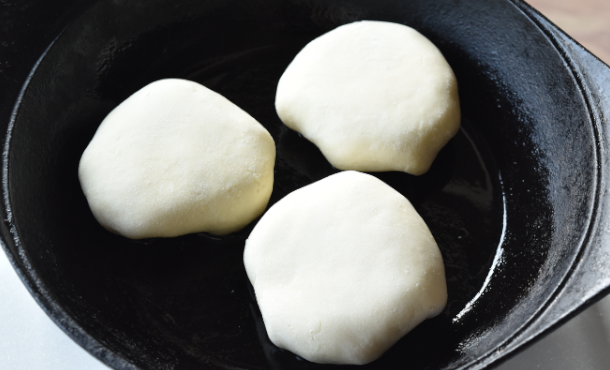 Keep adding water and mixing until the dough is no longer crumbly, but not too moist. 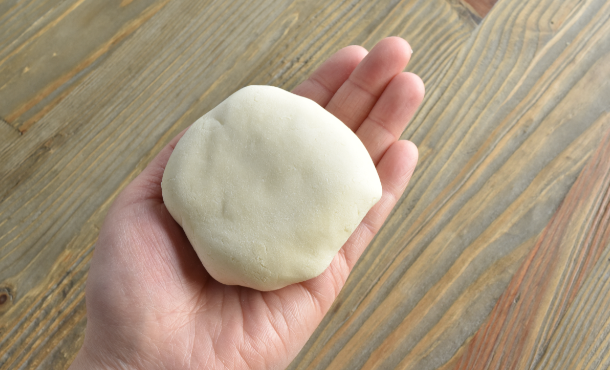 If the dough sticks to your hands, add a little more water. If it feels crumbly, add a little more flour. 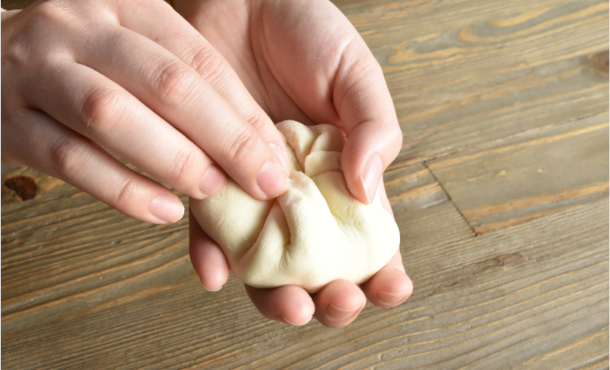 3.Divide [A] filling into five portions, and [B] dough into five balls (each around the size of a heaped tablespoon). 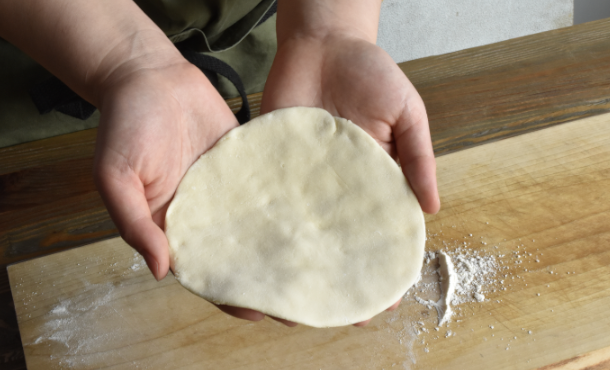 4.Spread [B] dough out to around 1.5 times the size of regular dumpling skins, add a portion of [A] filling and wrap, wetting the edges with water to help the dough seal. 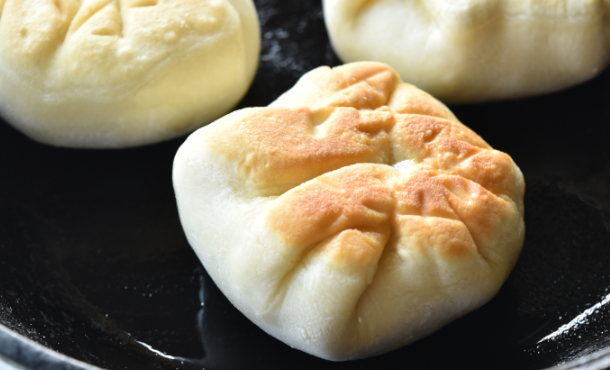 (Make sure the wrapping covers the filling completely, with no gaps for juices to escape while cooking) Pat the dumplings so they are slightly flattened, then repeat for the rest. 5.Heat frying pan on medium heat. Once the pan is hot, add a good amount of oil (olive oil is fine). 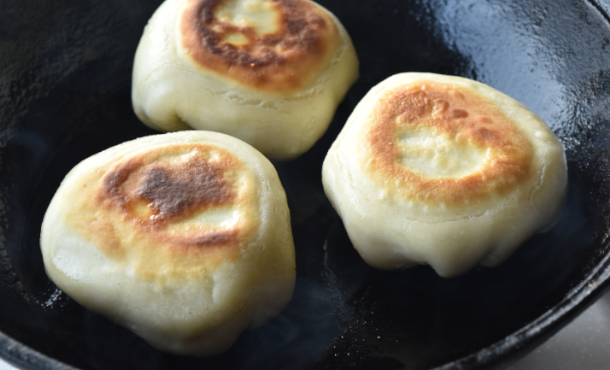 6.Place the dumplings with the sealed side down and fry on medium heat. When the bottom is nicely browned, flip and fry again until brown. 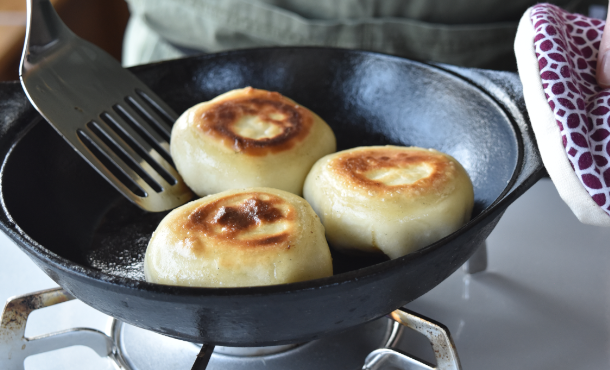 With the naked pan double handled frying pan, the dumplings will be crispy on the outside, and soft and juicy on the inside. 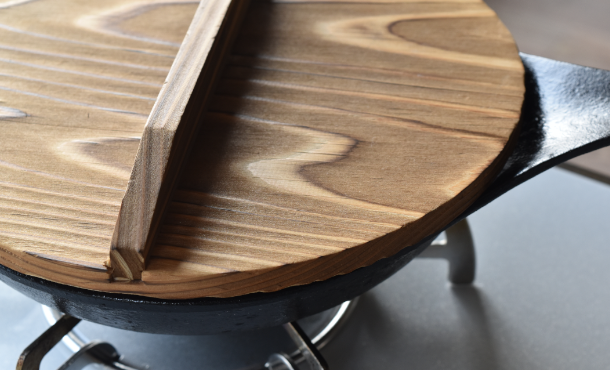 This texture is made possible by the Naked Pan’s superior heat transfer. I was a little worried how the dumplings would turn out, but it was easier than I expected. My family enjoyed eating them a lot which made it a rather special item on the dinner menu. The first bite releases delicious yet hot meat juices, so beware of eating them on an empty stomach!